Five hundred schoolkids, 30 minutes, international cricketers, and the Sydney Cricket Ground. 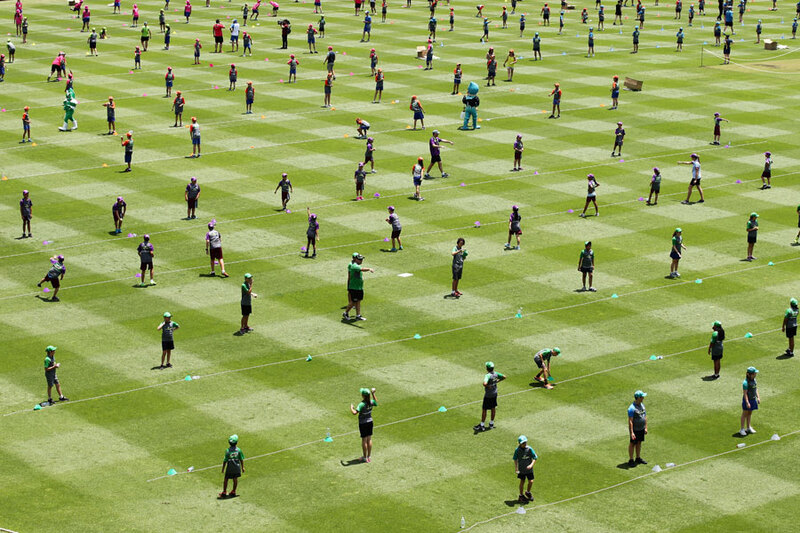 That’s what it took to set a new Guinness World Record for the “largest cricket lesson”. The players present at the event, a “MILO in2CRICKET lesson”, included Australia coach Darren Lehmann and national players Peter Siddle, Nathan Lyon, Mitchell Marsh, Peter Nevill, Hilton Cartwright and Meg Lanning among others. As per Guinness’ requirements, the kids had to participate in a 30-minute pre-approved coaching session, where they all took part in the same activity at the same time. And they did, batting, bowling and fielding their way through the half an hour, overseen by the coaches and Guinness adjudicators. The biggest cricket lesson in the world cricinfo.com © ESPN Sports Media Ltd.